UK CUSTOMER NOTICE: TitanBet is closed to UK customers. If you like the sound of the brand head over to their partner site Winner, they provide a clone of the Titan site with exactly the same offers features and markets. Titanbet are kind of like a betting bazaar, they have quite literally everything that almost every type of punter could need. The site is packed to that rafters with markets and events, yet powered by Playtech they maintain an impressive sleek style with easy navigation. If you’re looking for loyalty promotions, free bets, special sports and regular bonuses then you’ve come to the right place. 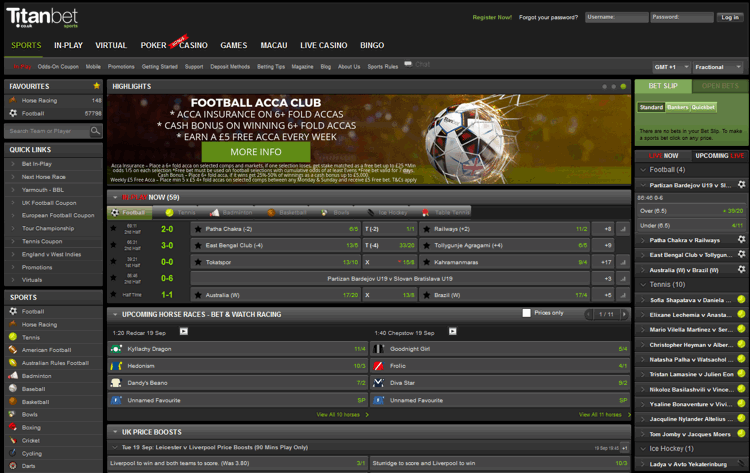 The Titanbet interface is a pleasure to use in general with a sleek black and charcoal grey design. When it comes to sports Titanbet have it well covered for the average punter with over 30 major markets as well as plenty of non-sports specials, esports and novelty bets. Full live betting and cash out is also available on both desktop and mobile with fairly decent odds all round. The mobile app is nice to use and gives all of the functionality of the main site. Streaming is also avaiable for horse racing. On this site we only list bookies who reward their customers with regular promotions, bonuses and freebies. When it comes to betting offers Titanbet have some great loyalty features for customers. If you play most often in the casino but like a top sportbook with regular offers then you may be better off taking the Titanbet casino introductory deal. Titanbet also have a very well developed casino, games, poker, and bingo products with additional bonuses for trying them out. In fact as a bookie that moved from poker to casino and then into sports, so if you like their sportsbook and interface you are sure to like the other sections. Football Acca Club – £5 free weekly accumulator if you place five £5+ accas in the week (4+ picks). All 6+ selection accas also come with insurance (max refund £25) and a bonus (bonus 25-50% 6-10+ multiples, max £5k). US Sports – Titanbet are an excellent bookie for betting on all US sports with top accumulator bonuses/insurance combos, money back specials, as well as some more bespoke offers during the season. Mobile Loyalty 5% Stake Back – Whenever you’ve placed 20 £10+ bets on either football, tennis, snooker, darts or US sports in play or horse racing on your mobile then Titanbet will give you 5 a £10 free bet. Bets must be evens or more to qualify but there are no limits on how long it takes to get to 20 wagers. You can also claim this up to 20x each month. 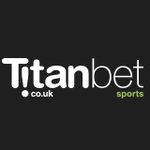 Beaten by a length / Faller Insurance – Titanbet are a top bookie for racing with reliable offers year round. For the flat season get a refund if your horse loses by a heads length or less, and for a meeting each day get a refund if you lose by up to a length. During the jump season stakes are returned if your horse is brought down, unseats the jockey or falls (max £25). The bookie also periodically provide money back second to the SP favourite. Top Tennis Bookie – For anyone who bets on tennis this is a must use betting site. In addition to lots of daily offer through major tournaments get in play money back as described above and an industry leading accumulator bonus up to 50%. Golf Offers – With 2/3 ball acca insurance and money back 2nd/3rd on pre-tournament outright bets this is one of the best place for regular golf punters. Lucky Promotions – One of the few bookies to give enhanced winnings if you get all your selections correct in a lucky bet, as well as double odds should you only get one pick right. Titanbet were launched back in 2009 and are based and licensed in Antigua and Barbuda. Although their sportsbook is not so well know they have a great reputation in casino and gaming and they have carried this experience through to sports. 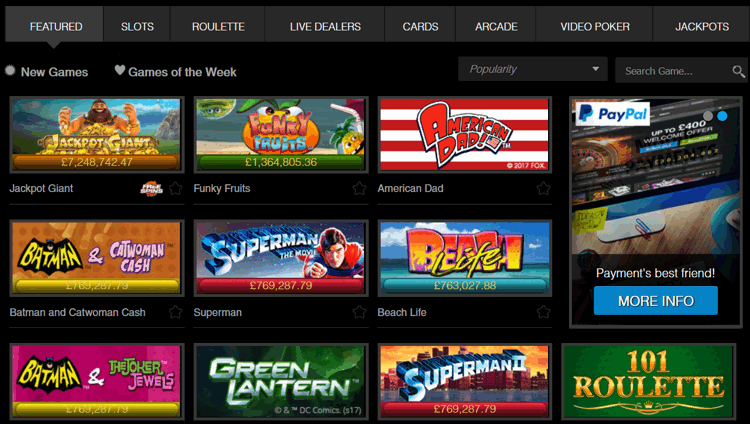 Titanbet.co.uk sports betting platform is powered by Playtech, the world’s largest online gaming software developer. As you can see from the list of promotions this bookmaker like to reward customers who place regular bets with them on top of their introductory deal. They are perfectly suited for all punters from beginners to experienced. Market depth is as good as with some of the bigger bookies and there is even live streaming available. They have a good news, blog and betting tips section too. The site and mobile app are a pleasure to use and remind us of Betway for their style. Odds are fair, especially for football, tennis and horse racing and combined with the winnings boosts available can be really great value for regular punters. There is a good range of deposit options and account can be funded in several currencies. Customer services are great with 24/7 availability through live chat, email, phone and more.